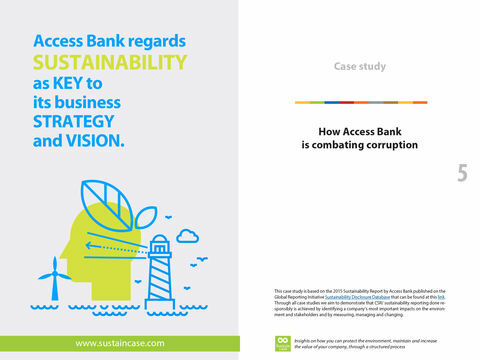 As one of the most important African banks, Access Bank regards sustainability as key to its business strategy and vision. Creating social, economic and environmental value now, will generate added value for stakeholders in the long run. 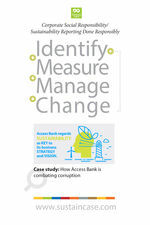 Therefore, combating corruption is a key priority for Access Bank. Access Bank is committed to operating as a sustainable financial institution that will not endanger the future of the next generations. 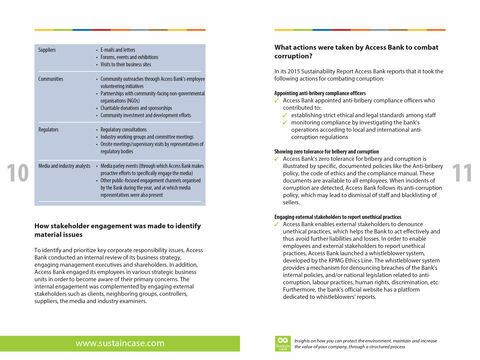 The bank incorporates corporate responsibility into its decision-making processes and operations.